OK, so here is a mind-bender for people with good imagination: how to innovate the most boring industry ever? Evidently, I am talking about sea transportation. As global trade keeps growing, ships keep transporting goods from China to Europe and to North America. The process is as simple as it gets: put stuff on the ship, sail for 20-40 days and get stuff off the ship. There are, of course, hiccups. There is bad weather, ship breakdowns, customs delays and, most recently, pirates. And there is certainly not much innovative one can offer here which does not break the rules of physics: faster ships? Teleportation? Lighter cargo? None of this is entirely realistic. And yet one company is doing it. As other renaissance innovators, it is not changing the basic product (it is still transportation of containers) or technology (it is still the same engine-powered ships). Yet, what the company is about to launch will, I believe, change the entire industry forever. It is exactly what the title says: ships leave from four Chinese ports EVERY DAY! So what the customer gets is, essentially, a continuous stream of departures and arrivals, with no need to plan in advance for the next departure because departures happen every day. And if this was not enough, Maersk also puts its money where its mouth is. For every late day the customer receives a sizable compensation per container. So what is the essence of this undertaking? Well, essentially Maersk takes upon itself the risk of unreliable delivery by increasing the frequency of departures and hence the number of ships (assets). 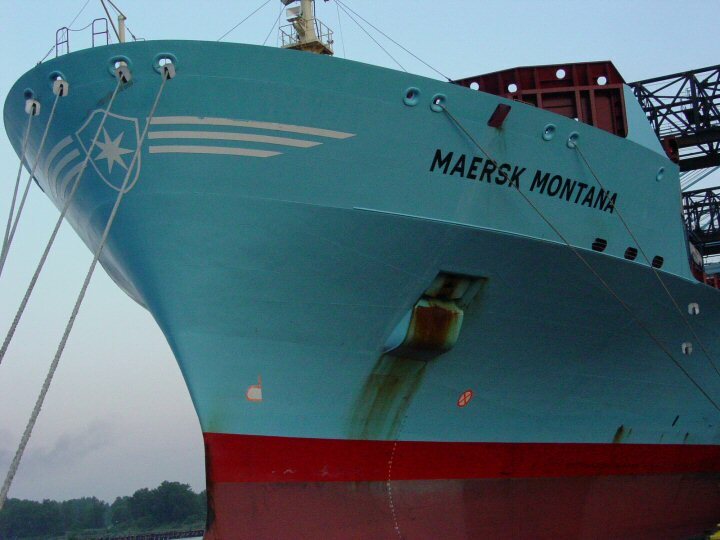 Customer now faces lower risk, while the risk of asset under-utilization for Maersk increases. But if the company can charge a bit more for the more reliable service (I am sure customers will be more than happy to pay more! ), everybody wins. The service starts in October. What is quite remarkable about this innovation is that, unlike in many other cases of Business Model Innovations which are seen and understood only years after the fact, Maersk went into a great length to tell the world about Daily Maersk. This actually makes a lot of sense since the service will only be profitable if enough customers sign up. But the important part is that we are witnessing implementation of a major Business Model Innovation from the very inception. Judging by the video and the web site, the company conducted careful analysis in conjunction with its major customers and then tested the concept for three months. Kudos! 1. The additional cost of operations is more than compensated by lower inventory cost to the customers. A sound operational model, and scale will help in addressing this. 2. The customers understand the benefits, and are willing to pay a premium for the additional reliability. Though both are interlinked (2 is a pre requisite for 1- scale) 2 is more challenging than 1, as customers already have infrastructure (warehousing, higher inventory levels, higher capital tie up etc.) to take care of the unreliability- and as a result the benefits of higher reliability will not appear to be of much value add from day 1. First mover strategy can be a high-cost strategy, and may be challenging to sustain if the industry does not pay a premium for the service. However, if other players (other large shipping lines) move to this model too, then it is more likely that the customers will start valuing the service and start paying premium, thus making the new service sustainable and truly ground-breaking.